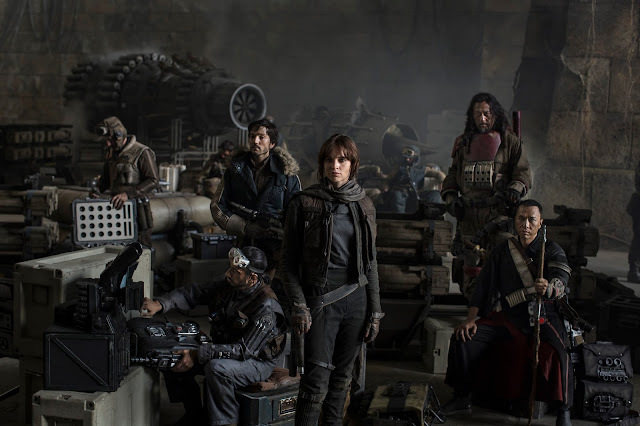 SAN FRANCISCO, CALIF. (August 15, 2015)—Lucasfilm announced today that their first film in the new standalone Star Wars stories series, “Rogue One,” has begun principal photography. Gareth Edwards (“Godzilla,” “Monsters”) is directing “Rogue One,” which tells the story of resistance fighters who have united to steal plans to the dreaded Death Star. The film is produced by Kathleen Kennedy and is slated for a December 16, 2016 release. Veteran ILM visual effects supervisor John Knoll, who shares a long history with the Star Wars movies, dating back to the mid-1990s, originated the idea for the movie. Allison Shearmur (“The Hunger Games: Catching Fire,” “Cinderella”), John Knoll, Simon Emanuel (“The Dark Knight Rises,” “Fast & Furious 6”) and Jason McGatlin (“Tintin,” “War of the Worlds”) are executive producers. Kiri Hart and John Swartz (“Star Wars: The Force Awakens”) are co-producers. To create the lived-in, realistic feel of “Rogue One,” Edwards chose Greig Fraser (“Zero Dark Thirty,” “Foxcatcher”) to be his director of photography and Neil Corbould (“Black Hawk Down,” “Gladiator,” “Saving Private Ryan”) to be his special effects supervisor. Star Wars and Lucasfilm veteran Doug Chiang (“Star Wars: Episodes I-II,” “Forrest Gump”) and Neil Lamont (supervising art director for the “Harry Potter” series, “Edge of Tomorrow”) will be the production designers. Additional crew members will include stunt coordinator Rob Inch (“World War Z,” Marvel’s “Captain America: The First Avenger”), creature effects supervisor Neal Scanlan (“Prometheus”) and co-costume designers Dave Crossman (costume supervisor for the “Harry Potter” series, “Saving Private Ryan”) and Glyn Dillon (costume concept artist for “Kingsman: The Secret Service,” “Jupiter Ascending”). More video updates to come! Stay tuned. Follow Jedi Mouseketeer, WDW Tiki Room and the Sorcerer Radio Network coverage of the D23 Expo 2015 by following hashtag #SRD23Expo on Twitter and Instagram! Photos and videos courtesy of D23, used by permission. WDW Tiki Room - The Show About All Things Disney - Subscribe to the podcast on iTunes! WDW After Dark - Weekly Webcast for Adult Disney Fans - Subscribe to the podcast on iTunes! Dining at Disney - Dining news and reviews for Disney Foodies - Subscribe to the podcast on iTunes!